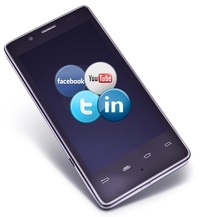 To be successful in the new multichannel and digital age businesses have to adopt an integrated approach to marketing. And as companies seek to join up what have often been siloed activities, agencies are moving towards a fuller service offering to cater for the increased demand. 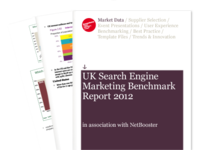 Data included in our new UK Search Engine Marketing Benchmark Report 2013 shows that more than half of agencies (52%) now offer a ‘full range of digital marketing services’, and increase from 45% in 2012 and 42% in 2011. Where should SEO sit within a company? Historically the answer to this would have been an extension to the digital marketing team, in some cases even in I.T, and always siphoned off as a separate marketing element. This approach, born of technological black-hat tendencies is, like so many in the industry, outdated. One of the trends highlighted in the recently updated SEO Agencies Buyer’s Guide is that client demands are pushing innovation and the development of proprietary technology – both in-house, and at agencies. These changes are also impacting on the client/agency relationship. To explore this theme further, I spoke to independent digital consultant Andy Betts, one of the contributors to the guide. A key trend identified in the new Econsultancy SEO Agencies Buyer’s Guide 2012 is that the boundaries of SEO as a digital discipline are continuing to blur. Historically, the responsibility for natural search has fallen to channel specialists with a deep technical knowledge, but now its importance is increasingly permeating other areas. English language web is a crowded place, but you’ve a much better chance of securing a domain with your top keyword in another language; and if not, you can simply build anchor text-rich links. The holy grail for any fledgling e-commerce business has got to be securing a domain name with a top performing relevant keyword. For instance, if you’re looking to sell photographic equipment, how good would cameras.com be?